Biosimilars are taking the pharma world by storm presenting before it a lucrative growth opportunity – biosimilars development – with patents of innovator biodrugs worth $55 billion expiring by 2020. Is the Indian Pharma ready to take advantage? Honestly, the winds of change have been caught by most companies, contrary to popular belief and India has 70 approved biosimilar products from companies like Dr. Reddy’s, Biocon, Reliance Lifesciences, Intas Pharmaceuticals, Zydus, Cipla, Lupin, Torrent, Hetero, Alkem Laboratories, Emcure, IPCA Labs, Wockhardt and many more. As per OPPI November 2015 – ASSOCHAM, R&D expenditure for biosimilar development in the country increased by 0.4 billion to 1.4 billion during year ended March 2015 in comparison to previous year. More than 10 companies are currently developing biosimilars for the highest selling monoclonal antibodies of the world. But what is the picture like? Is it really feasible? High competition in generics and pricing pressure both in India and abroad has rendered the market lackluster. 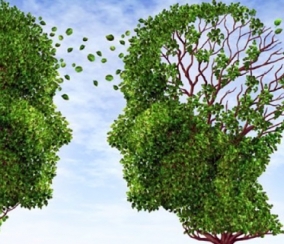 The next big thing therefore is biosimilars, with the domestic market expected to grow at an accelerated pace, reaching $40 billion by 2030, commanding 20% global market share. With out-of-pocket expenses as high as 62% of all healthcare costs, affordability of medical treatment and care remains a concern. Some biologic therapies cost upwards of $100,000 per treatment course. Opportunity therefore lies in biosimilars rationalizing spending for this large patient base. 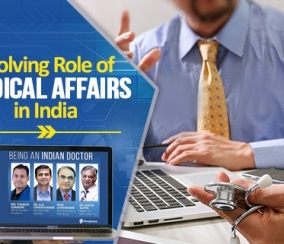 Not just India, but even abroad, people are struggling with rising healthcare costs. High prices of biologics make them a privilege of the wealthy even in the developed nations. That makes a large part of the patient population looking out for alternatives, creating a huge market for the biosimilar manufacturers. Docplexus surveyed its community of doctors to understand the level of acceptance for biosimilars. View the detailed infographic for survey results here. As stated above, the Indian biosimilars pipeline is robust and it won’t be wrong to say that part of the reason is Indian government’s initiative to offer subsidy to manufacturers and funding of companies entering the space into public-private partnerships (Ministry of Health and Welfare, 2017). It sets the stage for the already competitive landscape for further growth. So, is the cue for pharma here to plunge deep into the domain and make the most of the trend? There is long-term commitment with high costs involved, making it risky business. 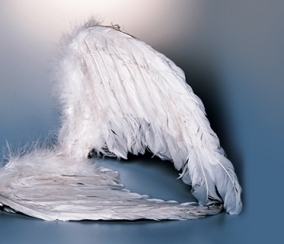 A biosimilar drug can take upwards of $150 million to develop. 80% of this cost is incurred as clinical development price. And, while you are expending the resources, you are also hoping the results match the reference biologic. Till January 10, US FDA had approved only 4 biosimilars granulocyte colony-stimulating factor, a follow-on biological of insulin and two monoclonal antibodies. The 2016 update focuses at reducing the residual risk of clinically relevant variance by means of post-marketing studies. This particularly is done through collection of data within two years of licensing through a pre-defined single-arm study. It also looks at additional information with reference to innovator biologic. So, this guidance brings in a burden on the biosimilar developer to produce thorough clinical trials and to meet more robust comparability requirements. It should not be taken as a bad thing though since it only sets the stage for entering foreign markets with greater ease. 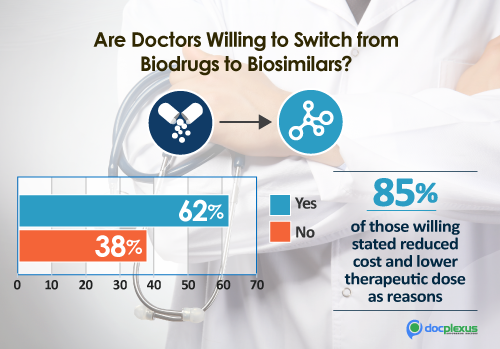 Clinical data: To 49% respondents who wanted to prescribe biosimilars, this was a let-down, making them go for biologics instead. Stability assessment report: Crucial for 42% doctors to ensure that a patient doesn’t encounter complications due to toxicity. Immunogenicity evaluation report: A must for 85% respondents for both patient safety and product efficacy. Pharmacopoeia monographs: This is a reason why 42% doctors refrain from prescribing biosimilars. Detailed product information– 95% doctors agree to being compelled to go the traditional way due to this. So, should status quo be maintained at the cost of massive growth possibility? It is a good time to actually step into the fray. The reasons are plenty. One, there is less competition locally and two, it is no more just about deep pockets as learnt from Biocon’s tryst with the domain where their drug Trastuzumab has been approved by all 16 members of the US FDA’s ODAC. This unanimous recommendation is indeed a testimony to our scientific prowess. Indian Pharma should look ahead to a more proactive approach to biosimilars and avoid another Chinese API like crisis. Till today, our market is impacted by price and manufacturing fluctuations in the Eastern nation, lending non-competitive our own. To ensure such scenes are successfully averted from repetition, government should financially aid research-based companies and encourage collaborations with top-level academic institutions. How to put the best foot forward? Cost of running trials in India is modest. That is a plus for international companies even though it is an additional burden. Partnership with Indian companies leads to easy penetration in the market and is good for getting access to biosimilars low production cost. On the other hand, Indian companies gain better reputation in terms of profiles in other markets. A good example would be Biocon and Mylan. This too calls for Indian companies to be ready for increased regulatory scrutiny. Goes without saying and is confirmed by our survey. Physicians need evidence to feel convinced about switching to biosimilars. Since clinical trials are a must, there is no reason for Pharma to be hesitant about it. Quality is a concern for most people when it comes to Pharmaceuticals, especially from markets such as India for lack of proper regulations and quality control standards. This can be easily avoided with better processes and transparency. Lack of public healthcare coverage and poor coverage where it exists has driven developers to offer heavy discounts in order to ensure they tap into a huge patient populace. Pricing competitively will definitely facilitate better foothold in the market by increasing treatment rate, bringing into fold a good proportion of patients receiving biologics. Another way of doing it right is differential pricing where patients with low ability to pay are offered a lower price than people with a higher ability. With the Biosimilars opportunity knocking right at your door, all you need is to brave-up, evaluate your risk appetite and scientific caliber, and take determined steps towards innovation.